This Hi-Lift Jack Bracket installs directly to the roof rack, making the rack more capable and giving the Hi-Lift Jack a secure place on the vehicle. Once the Hi-Lift is installed, a lock can be placed on the threaded supports. This product is made to be compatible with all BajaRack roof racks. 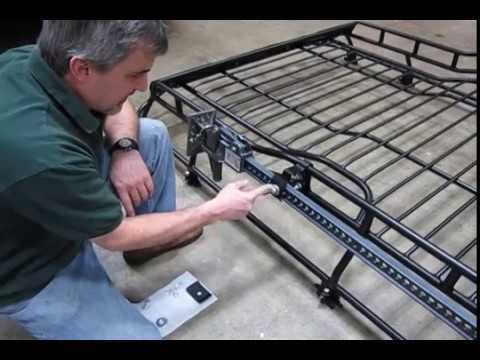 Watch Doug, our Land Rover Master Technician, in Part Six (Extra 2) of our video how-to series, as he installs the Hi-Lift Bracket to the Baja Roof Rack on our project D2. Questions about this video? Call us at 1-800-533-2210 or contact us via live chat.